“Savvy Solopreneur – Strategic Growth: Delegating to a Virtual Team Can Propel Your Success"
Even the best women entrepreneurs can't and shouldn't go it alone. When your company is still just you but quickly growing, managing your time and delegating to others- from marketing and legal to a personal assistant- can make you feel like you have a team behind you propelling your success as you work to reach that next level. Jennasis is comprised of a team of designers, writers, developers and strategists who help brands create more meaningful relationships with consumers. Through creative solutions and fresh thinking, Jennasis and Associates inspires brands to be more. 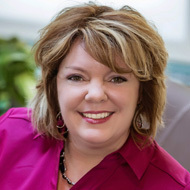 Jennifer's drive and determination has garnered national recognition and a list of clients ranging from local businesses to Fortune 500 companies. 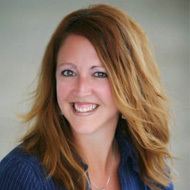 Laura is founder of Elite Virtual Assistants (EVA). EVA helps small business owners get more done in less time by helping them focus on accomplishing the things that will grow their business and bottom line. Laura was a virtual assistant for 20 years before starting EVA with a vision to attract the best virtual assistants in the industry by providing a great working environment and company culture. 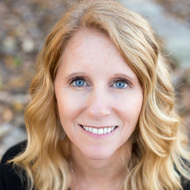 Lisa is founder of Impactive Strategies. For more than 15 years, she has provided customized, practical solutions to everyday capacity building challenges, allowing her clients to accomplish more in less time, while still enjoying their lives. She delivers motivating keynote speeches, leads dynamic and engaging workshops and creates results- oriented coaching programs.